View a unique and limited curation of crafts, fabrics, photography, limited edition prints and fashion apparel from selected University of Westminster’s top emerging designers, makers, crafter and creatives. 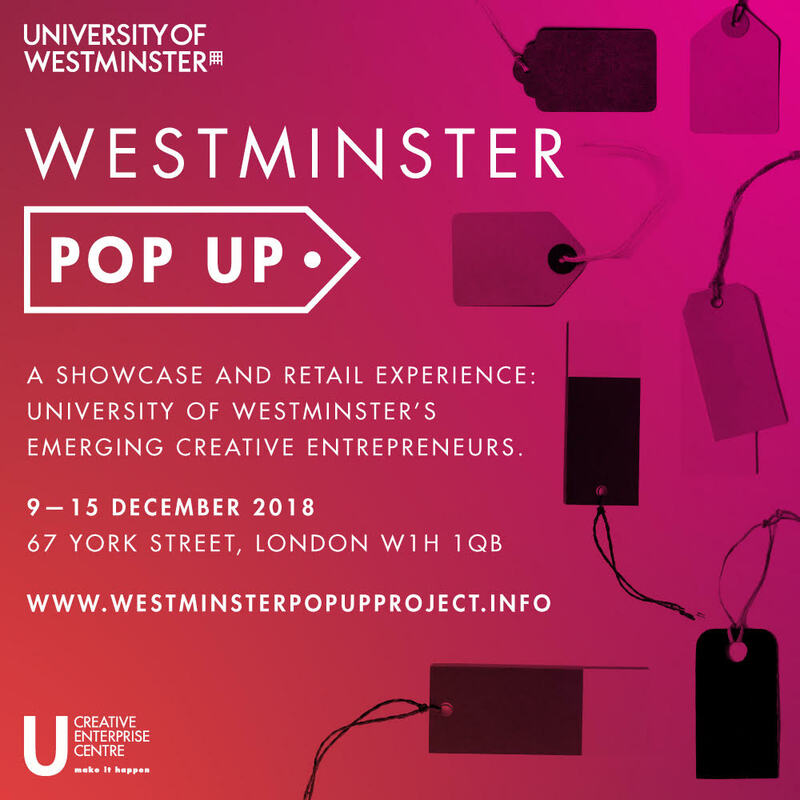 Westminster Pop Up is a pioneering enterprise and experiential learning project run by the University of Westminster’s Creative Enterprise Centre, to support and showcase the University’s creative entrepreneurs. From 9 to 15 December, selected students and graduates will showcase and retail their cutting-edge and high quality products at 67 York Street, not far from the University’ Marylebone Campus. Not only will you support new creative talent but you may also find the perfect and unique gift or treat this festive season. Meet and connect with creatives, industry guest and change makers through a series of evening events and talks hosted through the week.